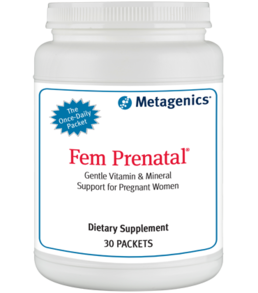 Metagenics Fem Prenatal is a once daily packet that provides for the increased nutritional needs for both mother and baby required during pregnancy. 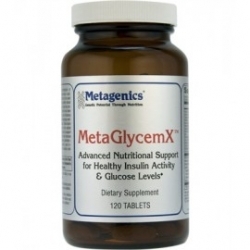 Promotes healthy fetal development, breast health, mental function and development of cells and bones. 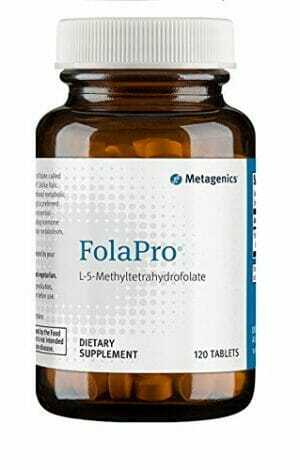 Optimal amount of folate – 1 mg – to promote healthy fetal development, breast health, and healthy mental function and mood. Enhanced antioxidant support – full-spectrum, all-natural Betatene mixed carotenoids; 300% increase in natural vitamin E; and 5-fold increase in selenium. Increased level of vitamin C – 250 mg – to support healthy tissue maintenance, iron absorption, and immune function, as well as promote healthy development of cells, collagen, bones, and teeth. 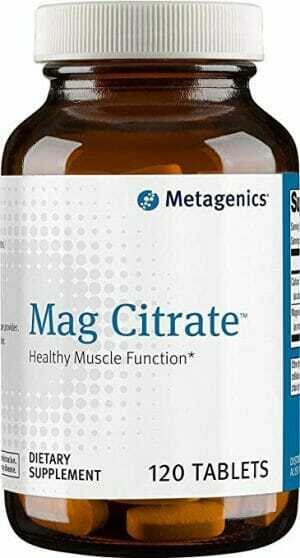 Features special mineral amino acid chelates designed for enhanced absorption. Who Needs Fem Prenatal the Most? Fem Prenatal is a comprehensive multivitamin and mineral supplement designed to help pregnant women meet their increased nutritional needs. Since pregnancy increases the body’s requirement for certain nutrients, most doctors recommend the added insurance of a multiple vitamin and mineral supplement. Taking one packet daily not only means more convenience, it means greater compliance. Now busy expectant mothers only have to worry about taking one packet daily – whenever they choose! It’s ideal for healthy, happy moms and babies. 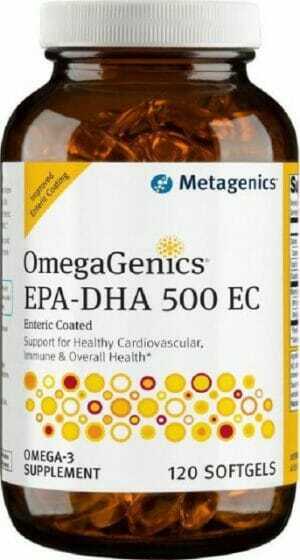 Take one packet daily with food or as directed by your healthcare practitioner. Each packet contains two (green) multi tablets and four (white) mineral tablets.